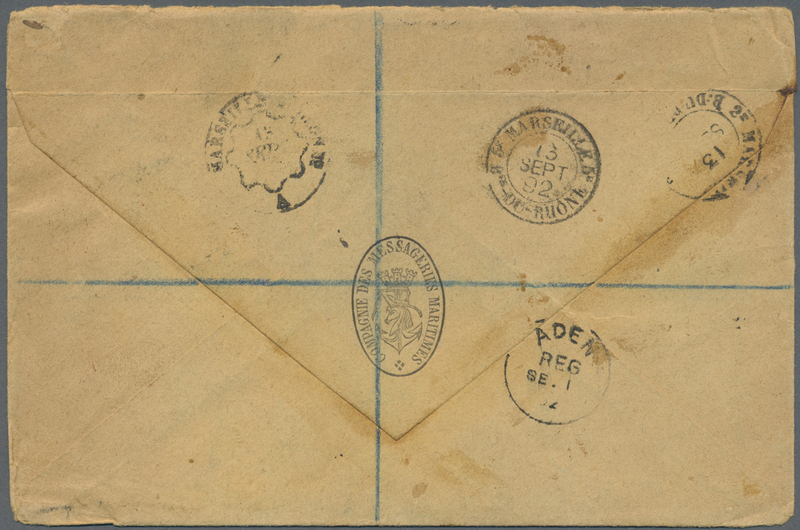 ADEN 1892. 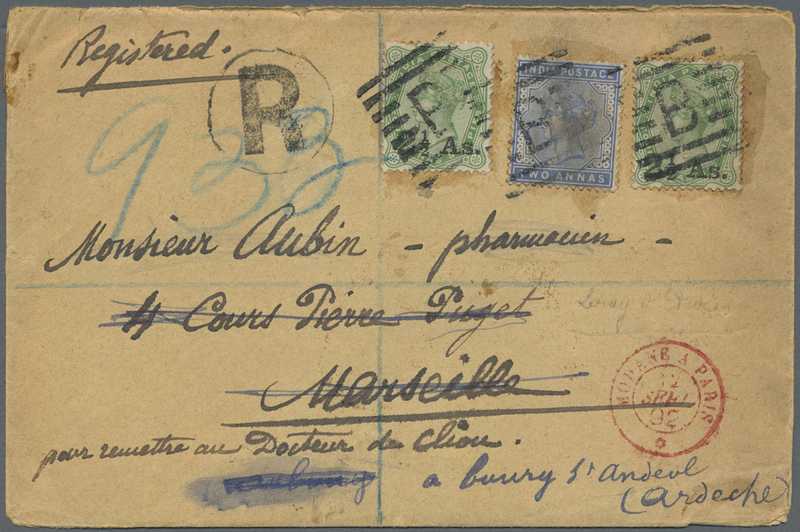 Registered envelope (soiled) written on board the French Messageries Maritimes "Le Saghailien" on the 'Mer Rouge' dated '28th Aout 1892' addressed to France bearing India SG 92, 2a blue and SG 102, 2½a on 4½a green (2) tied by 'B' in 8 bar obliterator with Aden/Reg cds on reverse 'Sept 1st' with circular hand-struck 'R' and 'Modane a Paris' French entry cachet in red, Marseille arrival and forwarded to Ardeche with receiver on reverse. Very fine item with text.